1.2 Coordinates clinical care and patient flow activities. Ensures that care/service delivered to each patient is appropriate and in accordance with physician orders, departmental policies and with full consideration of patient safety needs. Documents in patient records. 1.3 Serves as a clinical and management resource for decision-making, problem solving and employee performance reviews. Serves as a liaison between staff, physicians and Director. Advises medical staff and Director in matters related to patient care and operation of the department. Assists in addressing patient issues/complaints related to care/service received. 1.8 Maintains adequate inventory of clinical supplies and equipment. Assists with adherence to the budget, cost containment and product selection. 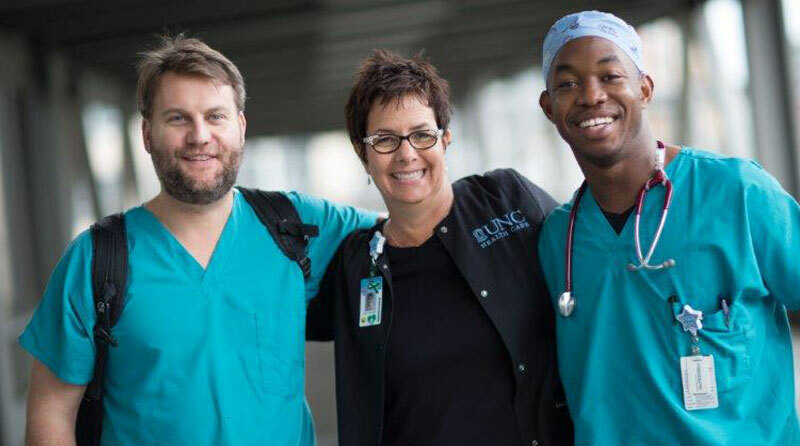 Candidate is required to have a Diploma, an Associate's degree (A.A.) or a Bachelor's degree (BSN), have a Basic Cardiac Life Support (BCLS) certification and be licensed as a Registered Nurse in the state of North Carolina (RN NC LIC). Candidate is also required to have two (2) years of nursing experience with at least one year in a medical office or outpatient setting.